California’s Central Valley has three times more freshwater in underground aquifers than previously thought, drinking water that could help the state weather future drought and fortify itself against a changing climate, according to a new Stanford University study. But tapping that water, locked thousands of feet beneath the ground, will be expensive and comes with an enormous risk — it could cause the valley floor to sink, according to the study, published Monday in the Proceedings of the National Academy of Sciences. Sinking land in the Central Valley is threatening roads, homes and other infrastructure, and reduces the amount of water some aquifers can hold. Climate change is exposing the state to a greater threat of drought, reducing the amount of water available for farming and drinking as higher temperatures evaporate reservoirs. More precipitation is expected to fall as rain instead of snow in California as the world warms, forcing the state to find new ways to store rain water for municipal and agricultural use. To stave off losses during its four-year drought, California has relied on groundwater to irrigate its farm fields. So much groundwater is being used that the water table has fallen by 50 feet in some places in the Central Valley, and the valley floor is sinking, or subsiding, as aquifers are depleted. Land subsidence, which has been occurring in the valley for decades because of groundwater pumping, has accelerated to two inches per month in some places, according to NASA. Sinking land threatens roads, bridges, aqueducts, buildings and other infrastructure as the land collapses beneath them. Most of the groundwater comes from aquifers less than 1,000 feet deep. Deeper aquifers are usually considered too salty to be used for drinking or irrigation, requiring costly desalination and drilling operations to access them. Analyzing water data gathered from oil and gas wells across eight Central Valley counties, the Stanford researchers show that there are about 2,700 cubic kilometers of accessible fresh or brackish water locked in the Central Valley’s deep underground aquifers. That’s almost triple the 1,020 cubic kilometers of freshwater that had been previously estimated. Farming in California consumes between 25 million and 33 million acre-feet of water annually, or between 31 and 40 cubic kilometers of water, according to a 2015 Congressional Research Service report. 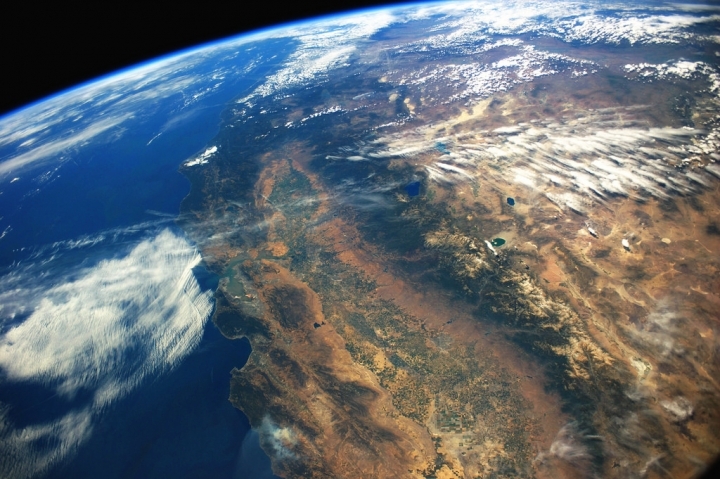 A cubic kilometer of water is roughly equivalent to 1.3 times Los Angeles’ annual water use. Some of the water that Jackson’s team found is considered brackish — containing low levels of salt — but it could be affordably desalinated, the study says. Additional research is needed to determine how much tapping the water would cause the valley floor to sink and how oil and gas development, which is common in those deep aquifers, could contaminate the water, especially from fracking, according to the study. California’s water agency, the State Department of Water Resources, is concerned about the long-term implications of possibly using — and using up — a newly found reserve of freshwater. “Understanding the total aquifer capacity is valuable from a technical standpoint, but a more useful estimate would be how much of the aquifer can we truly utilize before we experience significant impacts to surrounding agricultural, urban and domestic water users, to public infrastructures, to the environment and to the aquifers’ ability to recharge in a reasonable time frame,” said Lauren Hersh, spokeswoman for the California Department of Water Resources’ Sustainable Groundwater Management Program. Leonard Konikow, an emeritus U.S. Geological Survey groundwater scientist and author of a 2013 federal government report on groundwater depletion in the U.S., said deep underground freshwater may be too expensive for many in California to access. “In a severe drought, such deep drilling for water might be justified for municipal or industrial supplies, but I can’t imagine that the cost would ever be justified for agricultural purposes,” he said. But Jackson said deep freshwater is a largely untapped and little-understood resource.